Finishing this round up back in Ontario – 06/08 COLLINGWOOD ON, Crow…. In a recent interview with the radical culinary journal “Left-Wing Larder Talk”, Pistolwhip von Shankenstein and Dr. Thunderwahl stated that they both fervently hoped to soon see their fellow Canadians writhing in tune-laden ecstasy on the beer-soaked floors of the nation. It is somewhat difficult to believe that, despite the SHANKS having been a band and playing concerts internationally for a few years now, an uncharted boondoggle of this epic proportion is finally happening on home shores! Stay tuned for further SHANKS Canadian tour news including new show dates for Saskatchewan, Alberta and British Columbia! Head west, young man!! WIN FREE PASSES FOR BREWZAPALOOZA!!! Do like rock n’ roll? Do you like beer? Are you looking for a way to beat the January blahs? 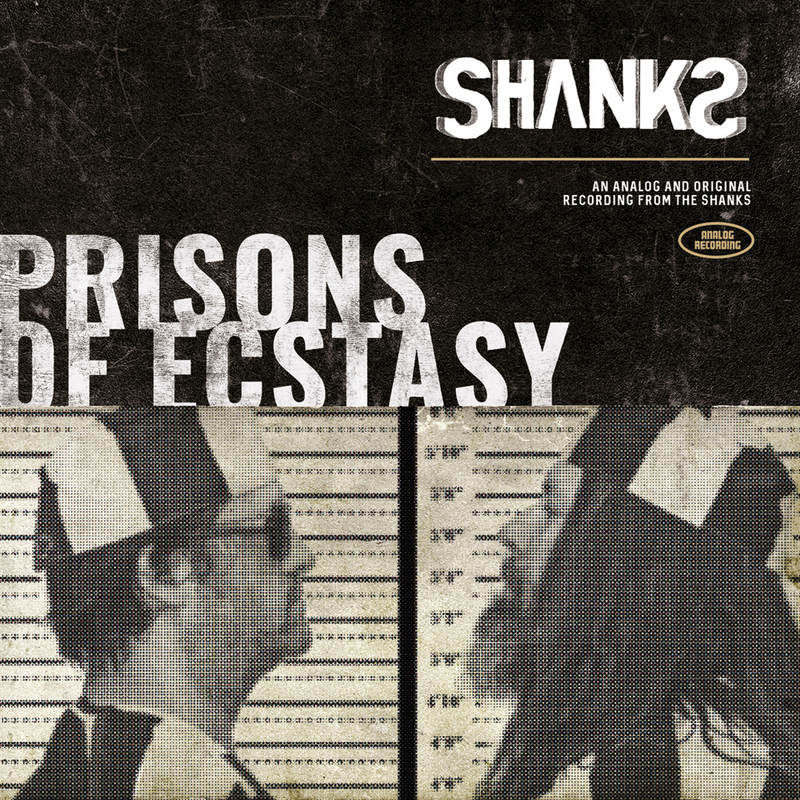 HERE TO EVERYWHERE ENTERTAINMENT INC. is excited to announce a special contest for fans to win to WIN TWO FREE PASSES ($50 value) to come take in the SHANKS “Live in Concert” at BREWZAPALOOZA taking place in Orangeville, Ontario on Saturday, January 20th. The passes also include full access to the awesome beer festival which includes the products of 20 fantastic breweries! 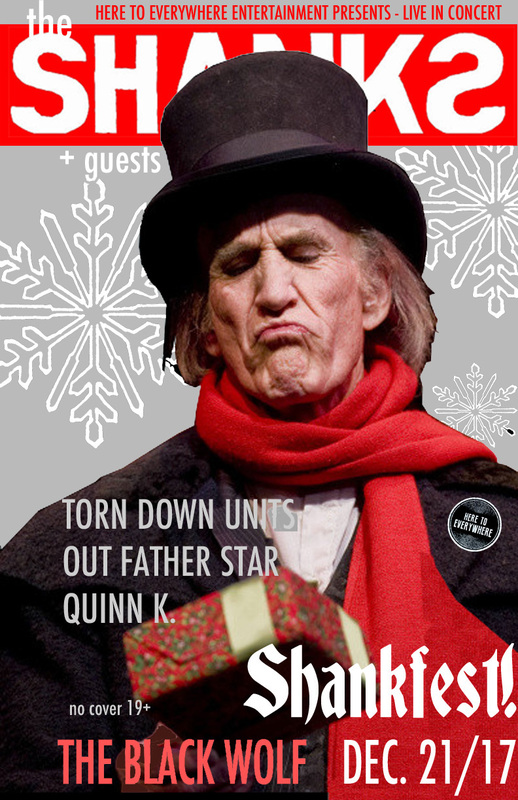 See www.brewsandentertaiment.com for further details. 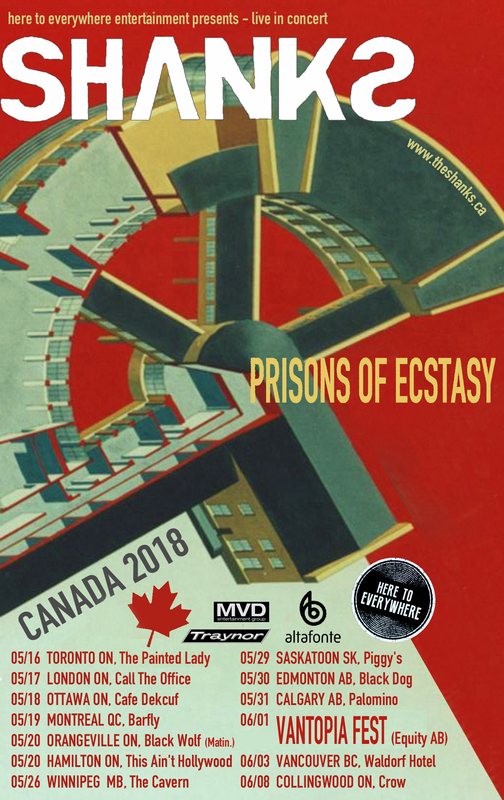 Do not miss your chance to bring along a friend to hear the SHANKS along with Canadian punk rock legends TEENAGE HEAD as well as THE NASTIES, FIVE KNUCKLE CHUCKLE and SCHOOL DAMAGE!!! To enter the draw is fairly easy, just go to the SHANKS Facebook page, just “like” the contest post and leave us a short comment about why beer is good. Not on Facebook? 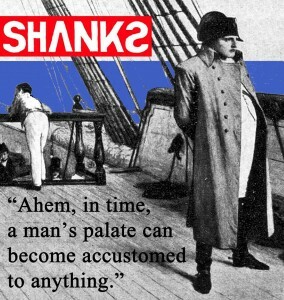 No problem, please send an email to “herecometheshanks@gmail.com”. Your name will be entered into the draw. The winner of the two passes will be announced on Wed. January 17th. You must be 19+ to enter. (Management and employees of HERE TO EVERYWHERE are prohibited from entering the draw (although it is probably acceptable under the rules of the contest for members of the SHANKS to write short polemical diatribes on the general topic of the civilizing aspects of brewing, malting and beer drinking). 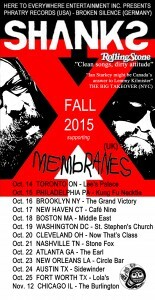 The Shanks at the Bovine! Fresh down from Spanish healing, SHANKS tunes it up at the Bovine. With special guests WHITES SPACES & CAT PACHEENO. 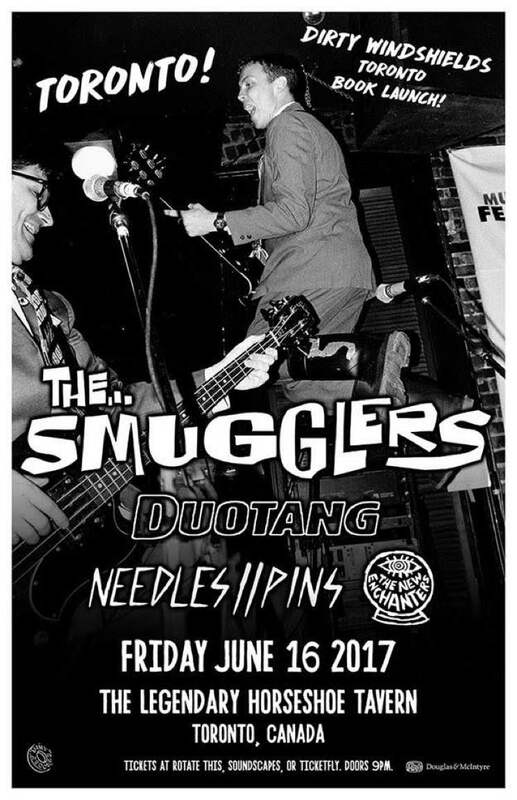 The Shanks’ Pistolwhip to join Duotang at the Horseshoe June 16th! Hot on the heels (well, sort of!) 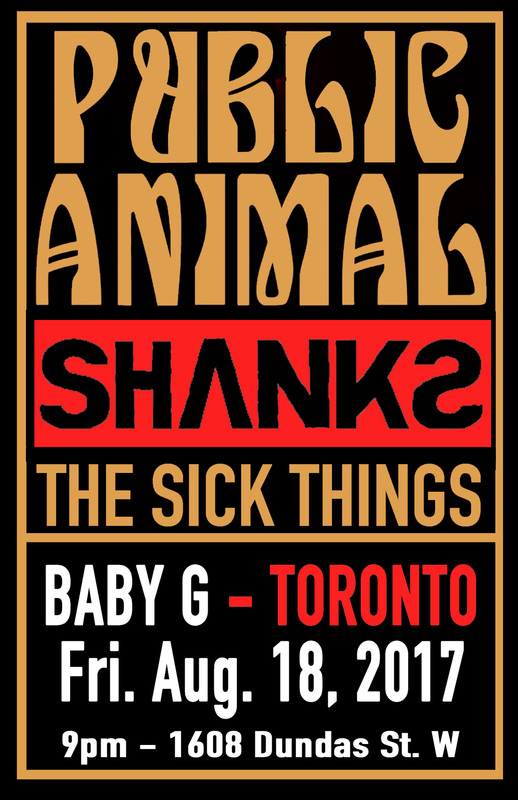 of fabled good times together at SXSW ’17, The Shanks’ very own 4-string rock machine St. Pistolwhip von Shankenstein has been invited for a cameo during DUOTANG’s set at The Smugglers’ reunion gig at The Horseshoe in Toronto, June 16th. This is obviously a rock n roll moment not to be missed, in and of itself, and we are very happy to be a part of it. It’s true: Mods and Rockers. We love Duotang! 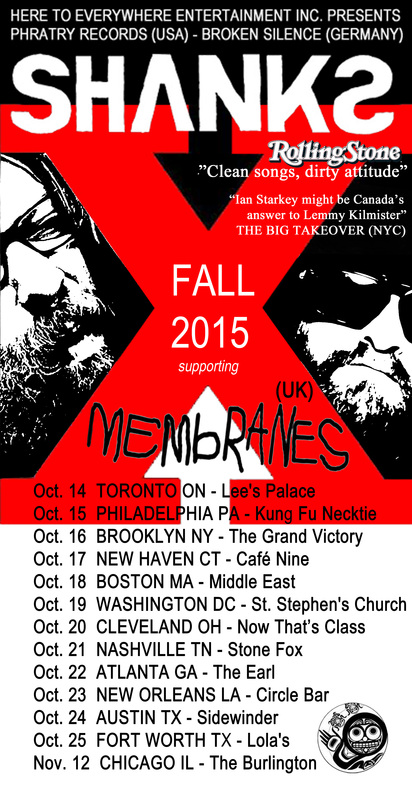 The Shanks live in March! 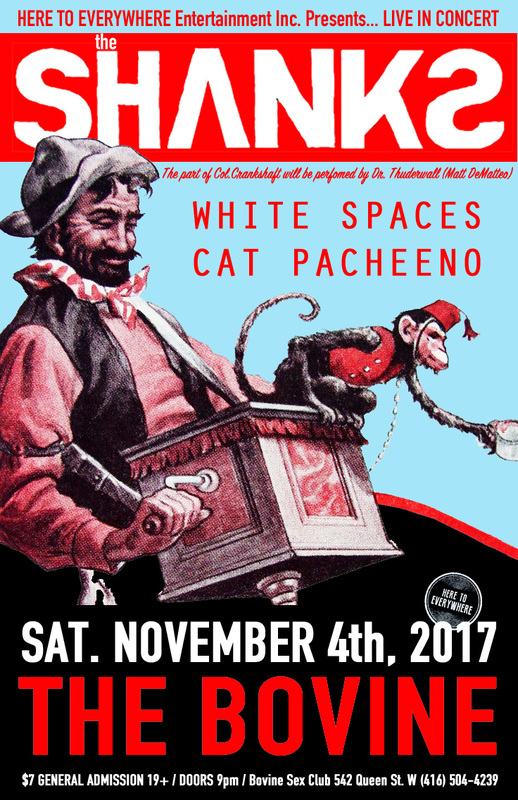 Mono’s very own noise distillers The Shanks play two home town gigs this month of March! Following these gigs, The Shanks’ new label Here to Everywhere Entertainment Inc. shall announce the release of The Shanks’ first new single in 2016 – and its accompanying video!